Terror Suspects were Active in Obama's Socialist "New Party"
On September 24, about 20 FBI agents spent most of the day searching the Logan Square residence of Chicago activists Stephanie Weiner and her husband, Joseph Iosbaker, reports the Chicago Tribune. In 1998 the duo worked as leaders of the Chicago New Party, alongside Frankie Torres, Deborah McCoy, Jose Kader, Bob Palmer, Rafael Rodriguez (Board of Directors, Rosenberg Fund for Children), Yakira Nunez, Vinnie Izurieta, Pryianka Basu, Dave Rolston, and Mary Robles. Joe Iosbaker was at the time serving as Precinct Captain for Miguel del Valle in the 13th Ward (Remember that name, we investigate del Valle a little further down). He had been working election day at this same precinct for "progressive" candidates for about a decade - since far left Chicago mayor Harold Washington won re-election in 1987. Weiner and Iosbaker supported New Party candidate and member, Willie Delgado in his bid for the 35th Ward seat in the Illinois House of Representatives. Delgado had signed up to the New Party in 1995, along with Barack Obama, Lou Pardo and Communist Party supporter Alice Palmer. Like Obama himself, Delgado was also endorsed by the Chicago Democratic Socialists of America. In 1998 won the seat against Elba Rodriguez by a very slim 241 votes. Delgado was to hold the seat until 2006. As at 1995, Delgado was a key supporter of Illinois State Senator Miguel Del Valle. Del Valle had also enjoyed the endorsement of the Chicago Democratic Socialists of America. He met Barack Obama in 1992, when the latter was directing a voter-registration drive called Project Vote. In 1993 he was listed as a "contact or potential member" of Progressive Chicago (parent and sister-organization of the Chicago New Party). Then in the mid-90s, he was listed as a member of Friends of Alice Palmer, alonside Danny K. Davis, Tony Rezko, Timuel Black and Barack Obama. While both Illinois State Senators, Miguel Del Valle and Barack Obama, along with State Rep. Mary Flowers were to work closely together with ACORN representative, April Troope on the passage of "energy assistance legislation". In 2006, Del Valle left the Illinois State Senate, rewarding Willie Delgado's ongoing support by appointing him to his old seat. 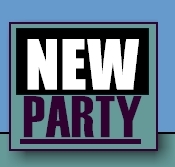 What was the New Party, and what was Obama's involvement? The New Party was an electoral alliance dedicated to electing leftist candidates to office-usually through the Democratic Party. It dissolved in 1998. Three organizations formed the backbone of the New Party - the Democratic Socialists of America, the U.S.'s largest marxist organization, ACORN and radical labor union SEIU. Also heavily involved were the Communist Party USA breakaway group Committees of Correspondence and far left "think tank" the Institute for Policy Studies. What goes around comes around. In 2004, Barack Obama was able to win his 2004 U.S. senate race by stitching together a coalition of socialist/communist dominated unions and "community organizations". He also received the backing of several independent Latino elected officials led by State Sen. Miguel del Valle, Rep. Cynthia Soto and Alderman Ray Colon. Alderman Joe Moore also backed Obama, as did USAction leader and Communist Party sympathizer William McNary. Returning the favor once again on the event of del Valle's election as Chicago County Clerk in 2006, Obama stated, "I am thrilled that Miguel Del Valle is now our City Clerk and I can think of nobody better to serve out a full term than Miguel Del Valle." The New Party folded in 1998 after its voting tactics were ruled unconstitutional by the Supreme Court. The FBI is now undertaking what has become a high-profile investigation of former members of the organization. Was Barack Obama a member? Undoubtedly. Will the FBI investigate him? What do you think? I doubt it will reach the POTUS. The FBI is full of commies. These are the sacrifice for something bigger. Once the courts approve these arrests and convictions are secured the commies will move on to the right wing. " dry run "
If I'm wrong then someone is dismantling Obama's support structure- question is who and why now ? Great to know that some of the rest of the world know about our Socialist president. For 234 years this country’s been God’s blessing. As always, you lead the leaders! Thank you for shinning the light into dark places and exposing what's in the shadows. We need your light! Why wasn't this cretin vetted BEFORE he was nominated? Who else is in the know? Who else tried to hide who he is. What a black mark on American history this guy is.